More enjoyable to work with thanks to high-performance 10-inch multi-touch colour display: Offers easy navigation and operation similar to today's smartphones and tablets. The newly integrated mobile touch area provides work experience and flexibility on a new level. 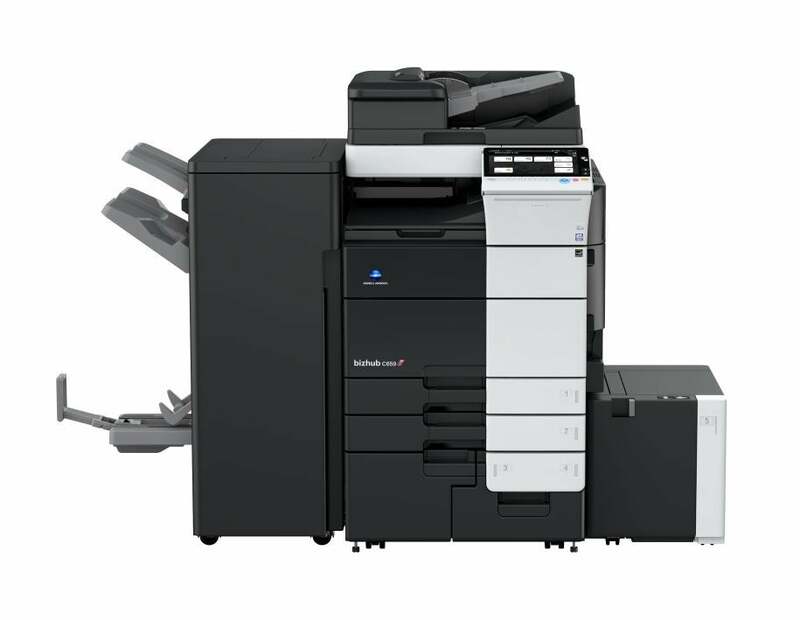 Enhanced efficiency for setting small and more complex copy, print, scan and fax jobs, thanks to easy adaption of the MFP panel and printer driver interface to specific user needs. High-speed scanning and printing, combined with powerful finishing functions plus support of Konica Minolta's extensive applications and mobile portfolio. The optional multi-feed detection kit guarantees that every single original is scanned. Save costs and support the environment with the new green technologies that bring down power consumption and reduce environmental impact. Interested to see all features and options and build your very own bizhub C659? 1st copy out time A4 (mono/colour) 3.7/4.9 sec.